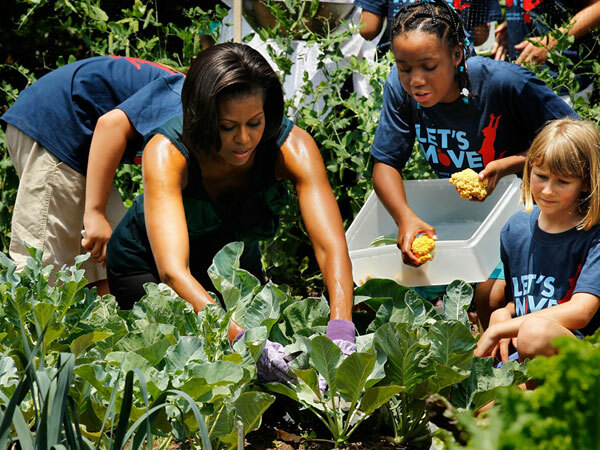 First Lady Michelle Obama joined kids from the Washington DC area on Wednesday to launch President Obama's Council on Fitness, Sports and Nutrition. The President has named Drew Brees, quarterback for the New Orleans Saints, and Dominique Dawes, three-time Olympian, as the 2010 Council Co-Chairs. Part of the President's appointed Council members include Grant Hill, Billy Jean King, Michelle Kwan and championship NASCAR driver Carl Edwards. The Council's mission is to engage, educate and empower all Americans to adopt a healthy lifestyle that includes regular physical activity and good nutrition. For more information about the Council and its members, visit Fitness.gov.